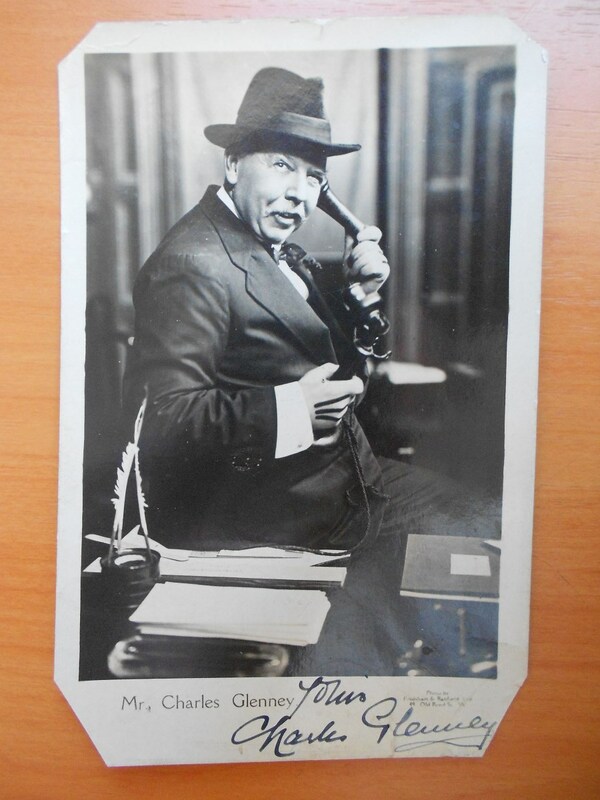 Vintage c1915 Postcard showing the actor Mr Charles Glenney. Not much known about this actor except he did many Shakespearean plays. I believe this is an original signature. 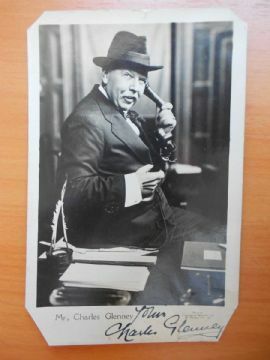 Nice vintage postcard. The postcard measures 5.5" x 3.5" and is in Very Good condition. The postcard has a tiny edge tear. The back is a bit dirty and has what i think an ink smudge. No hand writing on the back. See larger pictures for more detail.